TT is perhaps better known as Theresa Waynan, singer and guitarist with LA indie band Warpaint. Having given us three albums and an EP, she now unveils her debut solo album. It’s perhaps not unreasonable to ask how it compares to Warpaint. 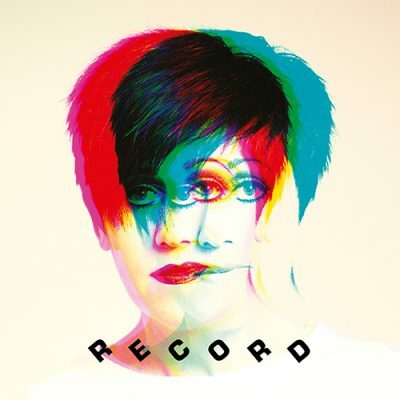 This record sees her explore a more keyboard driven sound than Warpaint, closer to electro-pop than indie guitar and it is mostly a one-person affair. Bandmates Jenny Lee Lindberg and Stella Morzgawa help out on bass and drums respectively. In its favour, the songs hang together to produce a coherent atmosphere that evokes the likes of Goldfrapp and Bat For Lashes. There are some solid songs – particularly ‘Mykki’ and ‘Too Sweet’ which bookend the album. The problem is that whilst the album is perfectly pleasant, even repeated plays fail to get the songs to linger once they have come to an end. It’s certainly not a complete failure as a record, but it needs to have more substance to elevate it beyond being merely very pleasant. 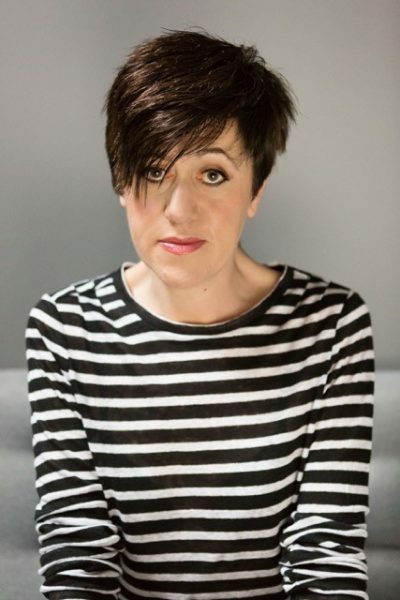 One of my favourite singers, Tracey Thorn, has announced her first album of new material in seven years. The new self-titled Warpaint album is fantastic, and I have been getting excited about its release for a while now. It’s even on target to enter the UK album charts in the top 5 this weekend, which is great news and means that the brilliant reviews the album has been getting have had an effect. Check out my review over at God Is In The TV and if you haven’t heard the awesome ‘Love Is To Die’ and ‘Biggy’ below. Warpaint’s debut album The Fool is getting quite a few publications frothing excitedly. such as The Guardian, The Fly, the NME and across the blogs too. I know I’ve posted this before but what the heck! Finally, this track is not on the album, but is a beautiful cover of an awesome song, David Bowie’s ‘Ashes To Ashes. And as ever, I would love to know what you think! I’d opened this email kinda idly, and within thirty seconds knew I’d done the right thing. 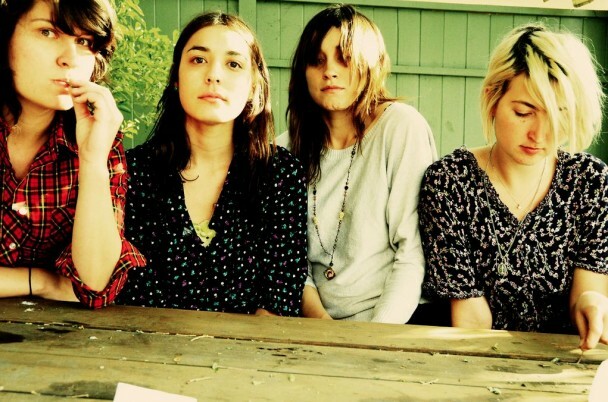 Warpaint are the latest signing to Rough Trade and hail from the US of A. On the evidence of this track alone, they compare very favourably to the likes of Belly, Throwing Muses and Veruca Salt. 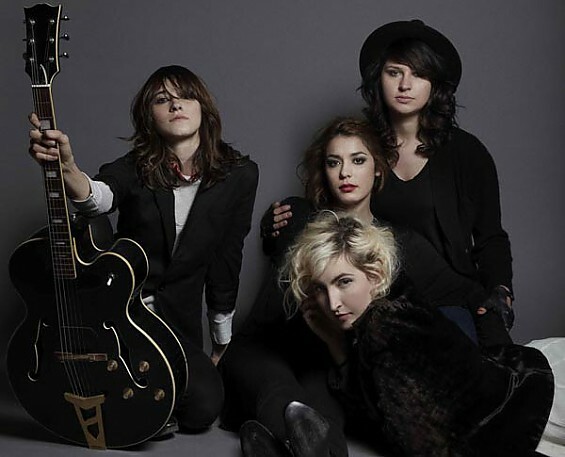 They are Jenny Lee Lindberg (vocals/bassist), Emily Kokal (vocals/guitar), Theresa Wayman (vocals/guitar) and Stella Mozgawa (drums/keyboards).